This page = UFO Data, Photos, Eyewitness Accounts & Video of an Alien broadcast: YES - E.T. contacted Earth by way of highjacking a live NEWS Program! Scroll down for proof. PROOF! 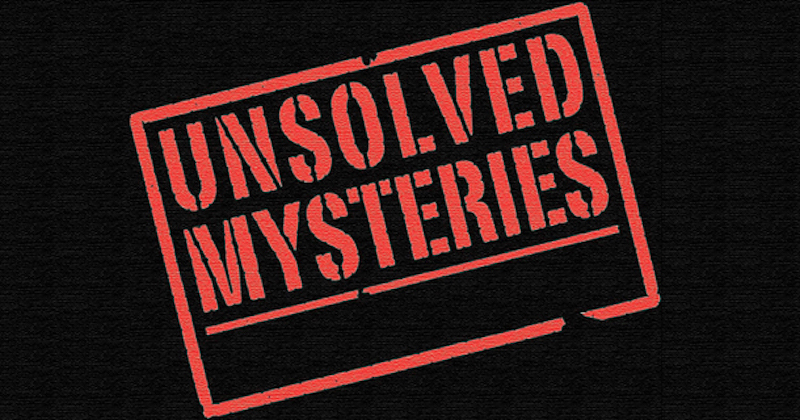 Something is visiting Earth, different civilizations from parts unknown. 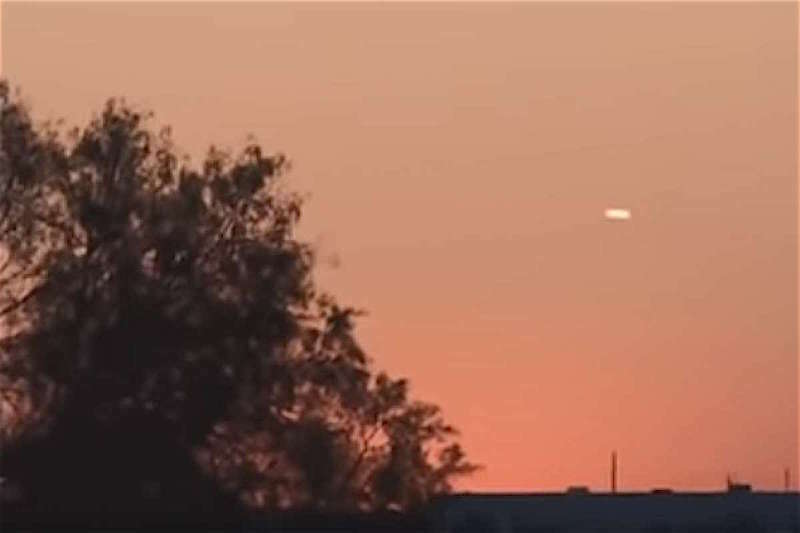 Alien craft have been witnessed, photos of different shaped UFOS have been photographed, and a video of a ALIEN BROADCAST is on this page. Yes, a news program in 1977 was highjacked in England and a message was heard. Reader you decide if this is a compilation of hoaxes and lies, or this data has merit. 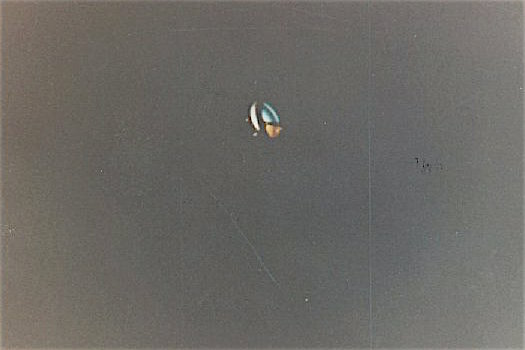 UFO -- RIGHT: On August 23, 1957, Ballassar Bottos took this snapshot of a UFO over Camden, New Jersey. 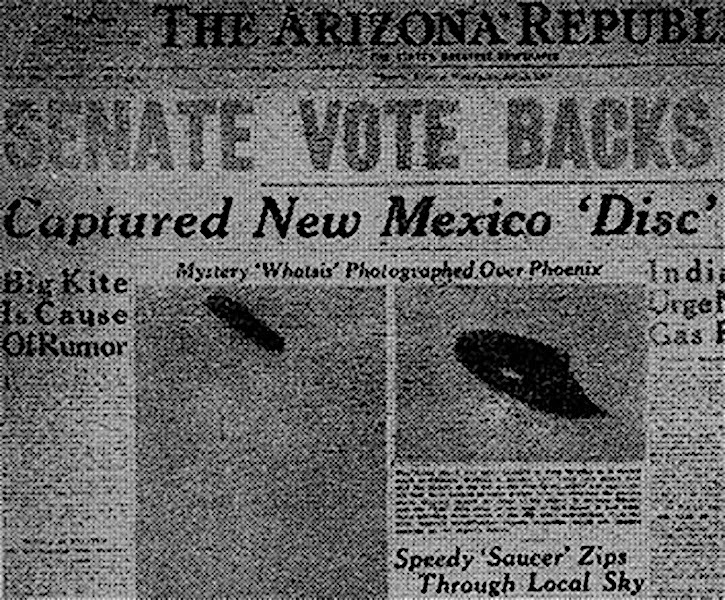 The Air Force's investigation team "PROJECT BLUEBOOK" claimed it was a misidentified weather balloon. 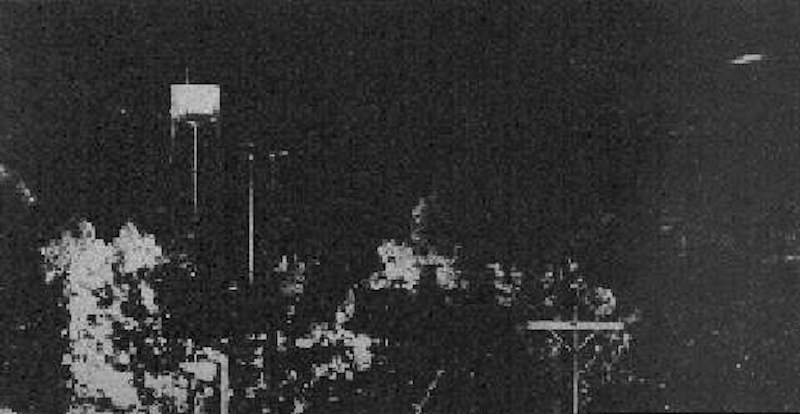 BELOW: A bad photo taken on September 23, 1953 in Modesto, California by newspaper photographer Charles Rogers. The UFO is in the far top right corner. 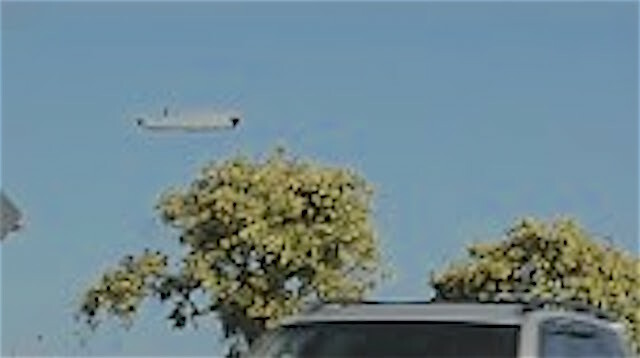 Rogers saw the UFO and took a picture from a roof. There is scant info on this snapshot or sighting. 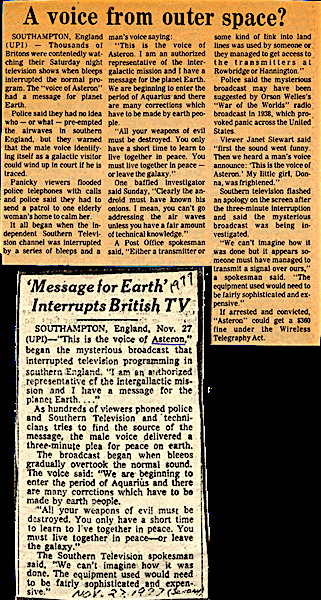 Something is out there and at times different alien species or energies do visit planet Earth -- below are two videos that pertain to a supposed alien broadcast from 1977, that went over English television -- SOUTHERN ENGLAND -- NOT LONDON ... Skeptics think this transmission was a hoax, other think it was a test done by the government to see how the populous would react. Others (UFO-CLUBS or associations) claimed the interruption was legit, it was a message from an alien race -- be it the Grays, the Nordics or ? 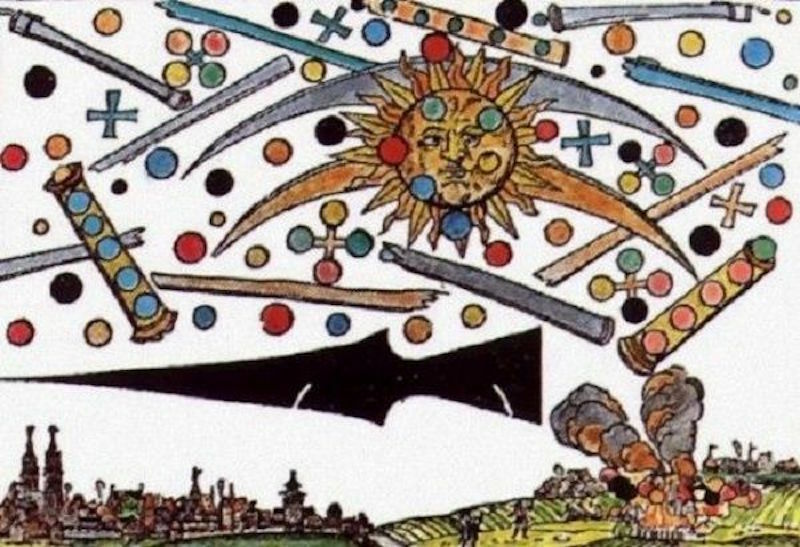 BELOW: UFO BATTLE OVER GERMANY IN THE 1500s? 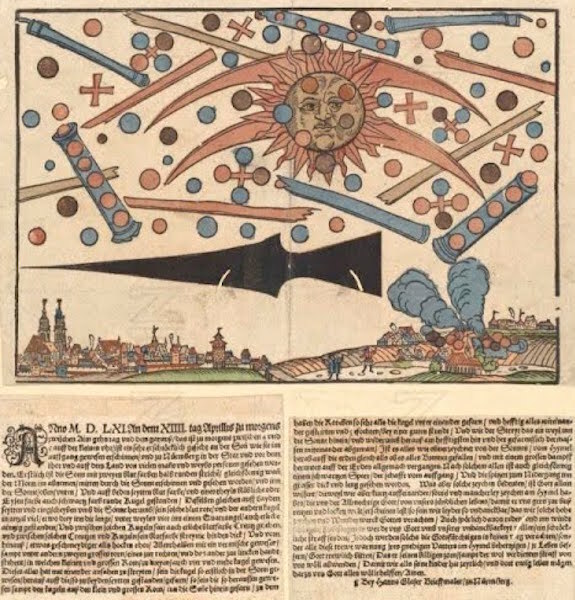 In the morning of April 14, 1561, at daybreak, between 4 and 5 a.m., a dreadful apparition occurred on the sun, and then this was seen in Nuremberg in the city, before the gates and in the country – by many men and women. At first there appeared in the middle of the sun two blood-red semi-circular arcs, just like the moon in its last quarter. And in the sun, above and below and on both sides, the color was blood, there stood a round ball of partly dull, partly black ferrous color. Likewise there stood on both sides and as a torus about the sun such blood-red ones and other balls in large number, about three in a line and four in a square, also some alone. In between these globes there were visible a few blood-red crosses, between which there were blood-red strips, becoming thicker to the rear and in the front malleable like the rods of reed-grass, which were intermingled, among them two big rods, one on the right, the other to the left, and within the small and big rods there were three, also four and more globes. These all started to fight among themselves, so that the globes, which were first in the sun, flew out to the ones standing on both sides, thereafter, the globes standing outside the sun, in the small and large rods, flew into the sun. 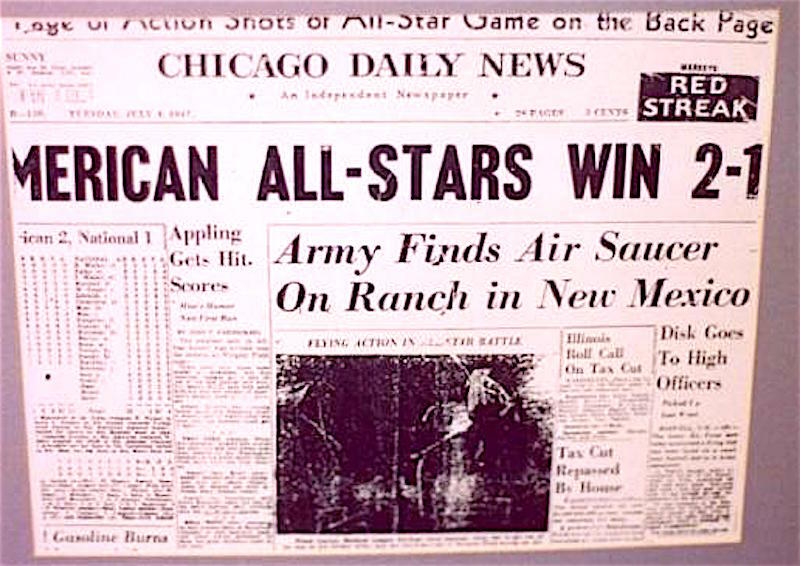 Besides the globes flew back and forth among themselves and fought vehemently with each other for over an hour. 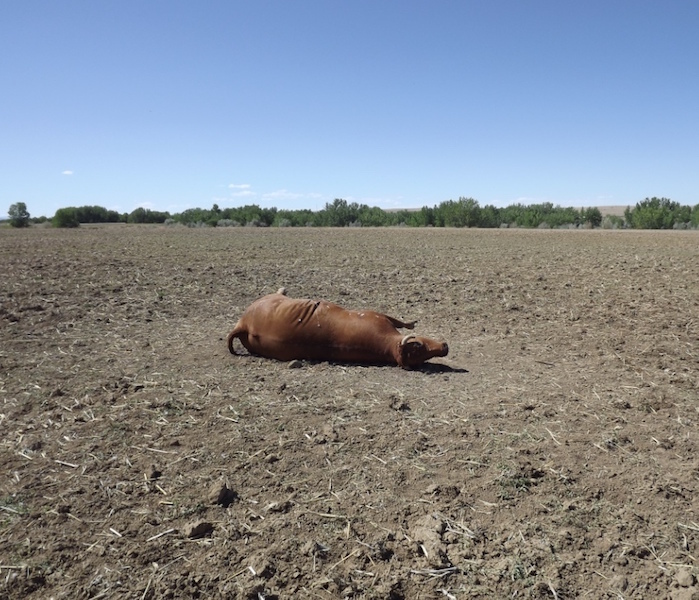 And when the conflict in and again out of the sun was most intense, they became fatigued to such an extent that they all, as said above, fell from the sun down upon the earth ‘as if they all burned’ and they then wasted away on the earth with immense smoke. After all this there was something like a black spear, very long and thick, sighted; the shaft pointed to the east, the point pointed west. Whatever such signs mean, God alone knows. Although we have seen, shortly one after another, many kinds of signs on the heaven, which are sent to us by the almighty God, to bring us to repentance, we still are, unfortunately, so ungrateful that we despise such high signs and miracles of God. Or we speak of them with ridicule and discard them to the wind, in order that God may send us a frightening punishment on account of our ungratefulness. After all, the God-fearing will by no means discard these signs, but will take it to heart as a warning of their merciful Father in heaven, will mend their lives and faithfully beg God, that He may avert His wrath, including the well-deserved punishment, on us, so that we may temporarily here and perpetually there, live as his children. For it, may God grant us his help, Amen. By Hanns Glaser, letter-painter of Nurnberg. 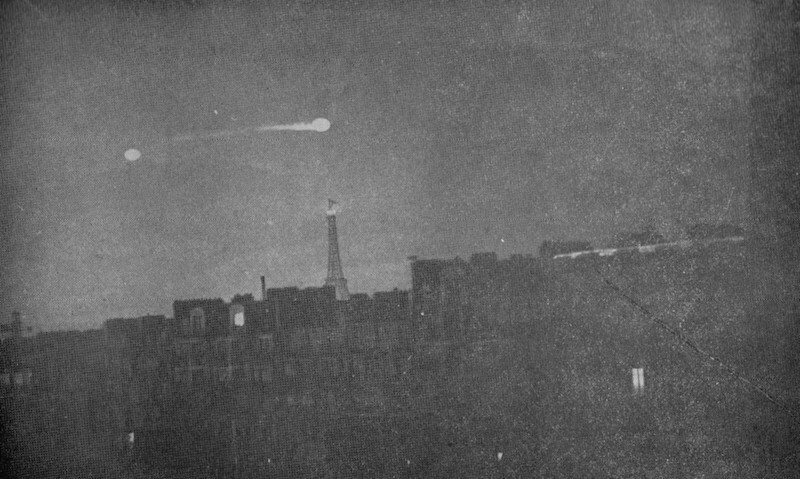 The below PHOTO was said to be a hoax by BLUEBOOK. 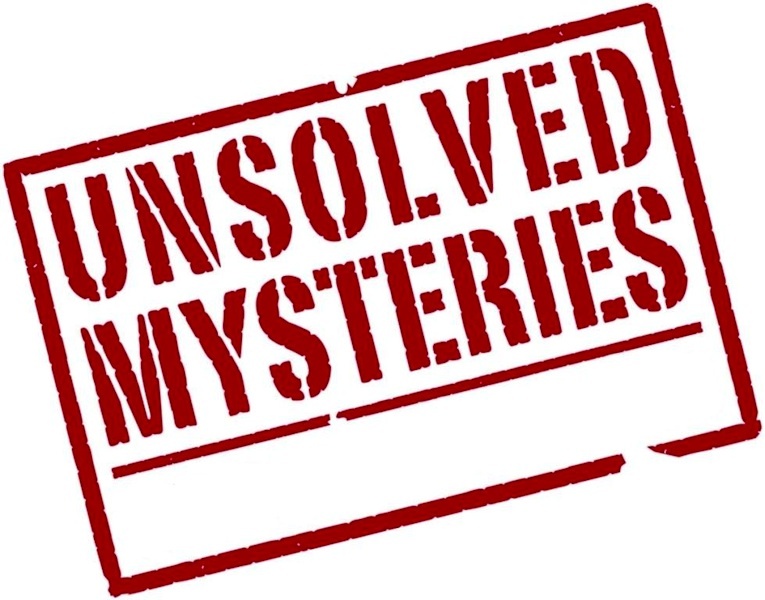 The AIR FORCE fact finding team was code named BLUEBOOK. 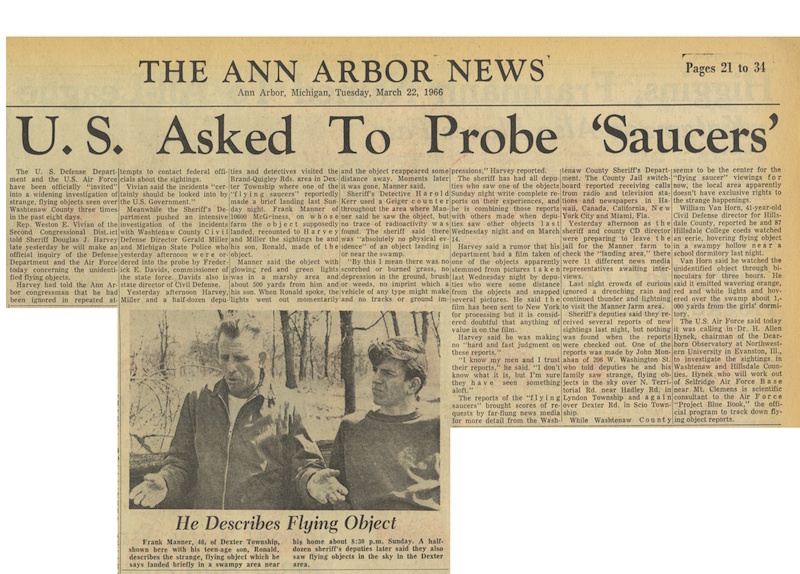 This group was later found out to be under orders to refute or discredit UFO photos or witnesses. 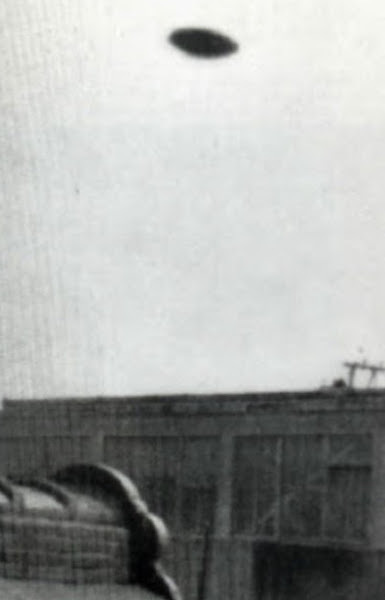 The photo below is from April 23, 1950, it was said to be a hubcap thrown in the air. Maybe, it is just that, a hubcap; or it is a authentic snapshot of a space vehicle. Films depict Aliens as either benevolent beings or merciless conquerors. If Aliens are warm and fuzzy creatures why have they not given the world or the (USA) technology that will save people from disease and stopped evil people from ruling countries? The Weird Beards think Alien races or most of them, have a hand in who rules this world, be it through governments and corporations. If this is true, then what is the end game? Is it the dumbing down of humanity, so that humans become sheeple and will accept any order that BIG BROTHER gives????? Another idea according to some astute writers, like the late JIM MARRS, puts forth that the REPUBLICAN NEOCONS & DEMOCRAT GLOBALISTS who ran the USA /PRIOR/ to the 2016 election, were liked by the ETs. It is a fact that World Leaders by way of their corrupt policies and media propaganda have for the most part turned the populace into mental midgets who are easy to lead... Hmmm? 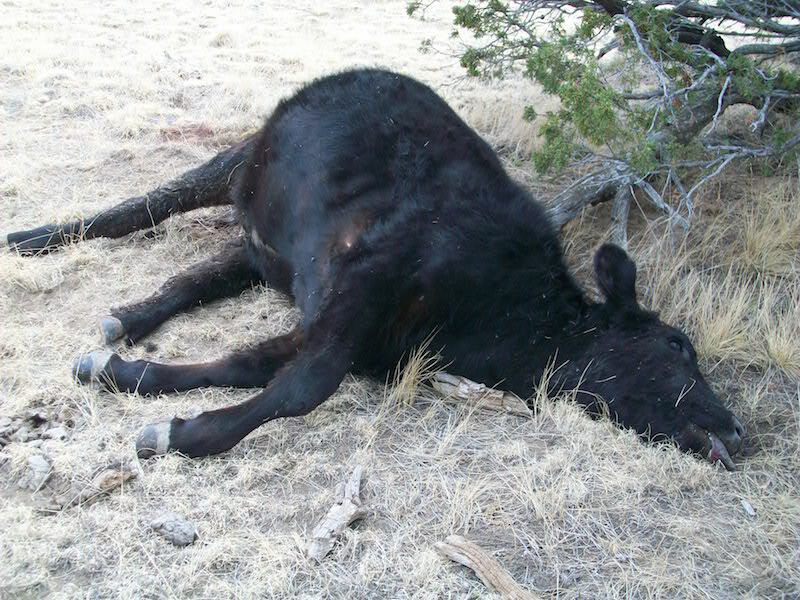 Why govern a destroyed planet -- (BELOW)-- if one can have a ripe planet to harvest and its inhabitants are clueless cogs in a machine --- why wake up the sheeple? For example as in how ignorant Americans have become -- how many citizens know their U.S. CONSTITUTION? 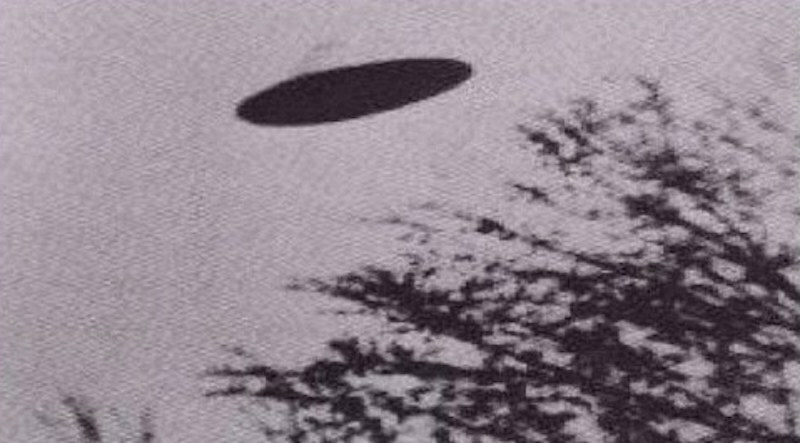 BELOW: The UFO Photo is disputed as in where it was taken and what year, a similar UFO was spotted over Santa Fe, New Mexico in the early 2000s. There is no doubt that prior to 2016 election USA's middle class was shrinking and its borders were wide open, so maybe the late JIM MARRS was onto something. As in the Aliens and world leaders want USA and RUSSIA to become countries led by globalists, rather than nationalists, because if USA or RUSSIA falls to radical socialism----- if these two countries lose their culture, then humanity is that much easier to conquer. Wild IDEAS, but the USA & RUSSIA do lead the world when it comes to culture, economies and military might. BELOW: If the Aliens are warm and fuzzy good guys --- then why have they not showed up and helped humanity? Or have the Aliens showed up, they are controlling the public by way of corrupt leaders, media propoganda and (FAKE NEWS). Do aliens want a world government that can control the world's populace? Corporations want a world government so there is no challenge to their power and profit. The U.N. is about one world government. Maybe that is why the globalists want massive illegal migration, as in a no border world? Do Aliens want this as well, the weaker the opponent, the more corrupt the opponent, the less analytical the opponent, the easier the job it will be in governing a conquered world.